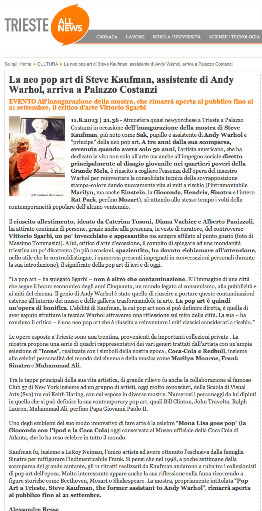 THE "POP ART IN TRIESTE: STEVE KAUFMAN" EXHIBITION WAS PRESENTED BY DIANA VACHIER, ALBERTO PANIZZOLI, CATARINA TOSONI, AND THE MUNICIPALITY OF TRIESTE. September 30, 2013 / Trieste, Italy – More than 13,000 people attended the grand exhibition, “Pop Art In Trieste: Steve Kaufman, the Former Assistant to Andy Warhol,” held August 10 through September 22, 2013 in Trieste, Italy, in what can be described as an overwhelming cultural success organized by American Pop Art, Inc., Diana Vachier and her associate Alberto Panizzoli, and Caterina Tosoni in collaboration with the Municipality of Trieste. Vittorio Sgarbi, a notable Italian art critic, politician, cultural commentator, and television personality, curated the exhibition’s grand opening. 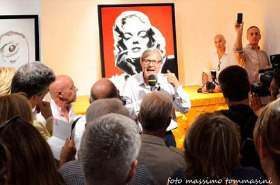 Publicity and announcements were executed by the Municipality of Trieste in Italy and by Leslie Gonzalez for American Pop Art, Inc. in the U.S.A.
A grand total of 13,422 came to view the pop art exhibition at sala U. Veruda, Palazzo Costanzi. The exhibition was entirely dedicated to the late American pop art painter Steve Alan Kaufman (1960-2010), former assistant of Andy Warhol, and featured thirty works from high profile collections. 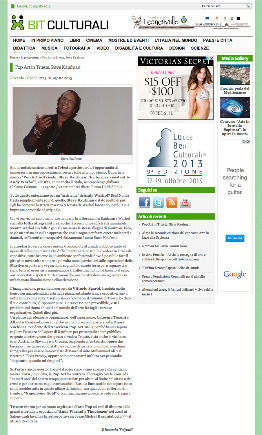 The exhibition was embraced by rave reviews from visitors, celebrities, and Italian media. Sponsors included American Pop Art, Inc., Comune di Trieste, Coca-Cola, Museo Casa Enzo Ferrari Modena, Generali Agenzia di Trieste S. Antonio, Radio Punto Zero, Friuli Venezia Giulia, Teatro Verdi Trieste, Consorzio PromoTrieste, Grand Hotel Duchi D’Aosta 1873, Dimore de Muggia, iN’s Mercato, Mas-Moi ArtsDesign, La Caffetteria del Borgo, Cornici & Restauri Arte Servizi, and Effective. In tune with the pop art concept, the exhibition was designed to appeal to all ages, from young adults fascinated by the clarity of Kaufman's works to older populations who seized the opportunity to reflect on contemporary society. 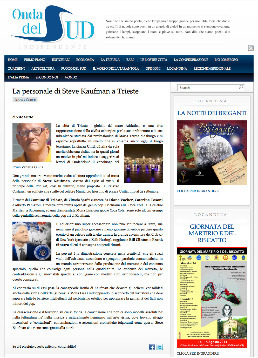 “The people of Trieste as well as the people that traveled from all over Europe to see this exhibition fully embraced Steve Kaufman’s art, and the entire experience was wonderful and very emotional for me. Steve would have loved it, and the people. I’m thrilled about the success and the amount of visitors. One of the comments I heard many times from many different people was, ‘Steve’s art is joyous.’ You can’t get better than that!” said Diana Vachier, owner of American Pop Art, Inc. and long time colleague of Steve Kaufman. It was Andy Warhol who gave Steve Kaufman the nickname “SAK” from the initials of Steve’s name. In the late 1970’s after working in Warhol's studio The Factory, Steve Kaufman made important progress in his career by reinterpreting and enhancing the pop art painting techniques that he had learned. Improving his style was Steve Kaufman’s pursuit throughout life, and he painted with great passion, intensity and creativity. Kaufman developed his own style using the hand-embellishment technique, a signature of the famous “icons” that brought him worldwide success. His icons were composites of 4 to 12 different subjects, a combination of different silk screens which he then hand painted. Steve Kaufman went on to portray countless stars such as Bill Clinton, Frank Sinatra, John Travolta, Marilyn Monroe and Muhammad Ali. The world famous “Mona Lisa Goes Pop” (the Mona Lisa with Coca-Cola) made him famous worldwide. Steve Kaufman is the only artist besides Leroy Neiman to be granted the rights to portray Frank Sinatra from the Sinatra family. In 1998, the eleven painting editions of Frank Sinatra by Steve Kaufman were all sold within a few weeks following Sinatra's death. 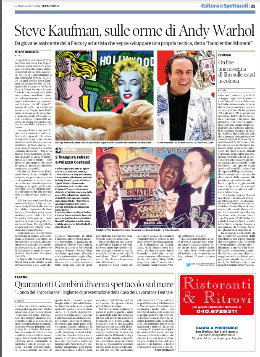 The exhibition “Pop Art In Trieste: Steve Kaufman, the Former Assistant to Andy Warhol” focused on Kaufman's reflections on fame: He used historical characters such us Beethoven, Mozart and Shakespeare and portrayed them as modern people. The show included paintings that best represented Kaufman's different styles, and included icons such as Coca-Cola, Red Bull, Marilyn Monroe, Frank Sinatra and Muhammad Ali. These paintings were described by visitors as intense, sparkling, vivid, passionate, and lively. 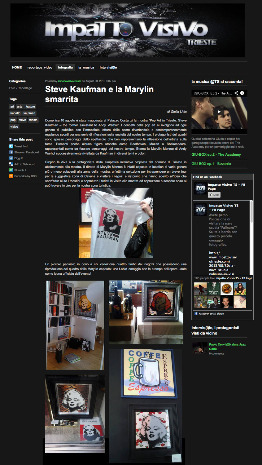 CLICK TO VIEW THE PUBLICATION, "POP ART IN TRIESTE: STEVE KAUFMAN," A PROJECT OF AMERICAN POP ART, INC. AND STEVE KAUFMAN ART LICENSING LLC. 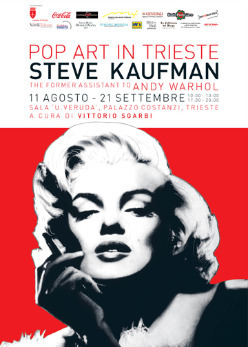 July 24, 2013 / Trieste, Italy -- With tremendous pride American Pop Art Inc. is thrilled to announce the grand exhibition, “Pop Art In Trieste: Steve Kaufman, the Former Assistant to Andy Warhol,” opening Saturday, August 10 at 7.30 p.m. at sala U. Veruda, Palazzo Costanzi in Trieste, Italy, and continuing through September 21, 2013. 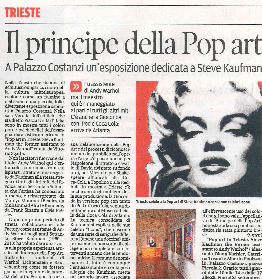 This exhibition, organized in collaboration with the municipality of Trieste, includes thirty works from important collections and is entirely dedicated to the late American pop art painter Steve Kaufman (1960-2010), former assistant of Andy Warhol. 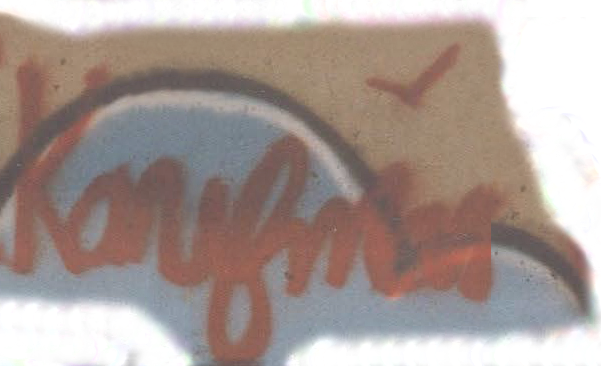 It was Warhol who gave Steve Kaufman the nickname “SAK,” (the initials of Steve Alan Kaufman). The exhibition is curated by Vittorio Sgarbi, the Italian art critic, politician, cultural commentator, and TV personality who will attend the grand opening. In the late 1970’s after working in Warhol's studio, Steve Kaufman made important progress in his career by reinterpreting and enhancing the pop art painting techniques he had learned at the Factory in New York. Improving his style was his pursuit throughout his life, and he always painted with great passion, intensity and creativity. 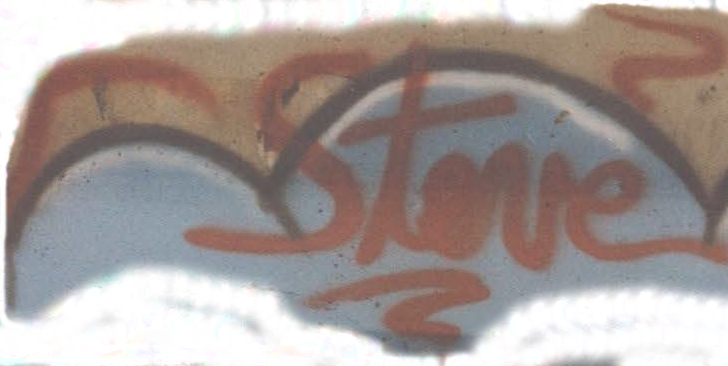 Steve Kaufman developed his own style using the hand-embellishment technique, thus creating the famous “icons” that ensured him worldwide success. His icons are composites of 4 to 12 different subjects, combining different silk-screens and then hand painting them. On one canvas Kaufman combined Mickey Mouse, Coca Cola, Marilyn Monroe, Superman, and Cohiba Cigars. On another canvas, he paid homage to the great artists who inspired him, using their styles. He portrayed Van Gogh with Sunflowers and Starry Night as background. Honoring Warhol, he painted a composite of Warhol's portrayal with Marilyn, the Campbell's Soup, the Dollar sign, and Coca Cola. This style was new in the world of art, and was immediately embraced by serious art collectors. One of the most relevant phases of Kaufman's career was the collaboration with renowned artists from the School of Visual Arts (SVA), such as Keith Haring, with whom he organized several exhibitions. This collaboration took place at the popular Club 57 in New York. Steve Kaufman portrayed countless stars such as Bill Clinton, Frank Sinatra, John Travolta, Marilyn Monroe and Muhammad Ali. The world famous “Mona Lisa Goes Pop” (the Mona Lisa with an iPod and a Coca-Cola) made him famous worldwide and a symbol of his innovative painting style. The painting is on exhibit at the World of Coca-Cola Museum in Atlanta, Georgia, USA. Steve Kaufman is the only artist besides Leroy Neiman to be granted the rights to portray the great Frank Sinatra from the Sinatra family. In 1998, a few weeks following Sinatra's death, the 11 painting editions of Sinatra by Steve Kaufman were all sold out amongst art collectors. 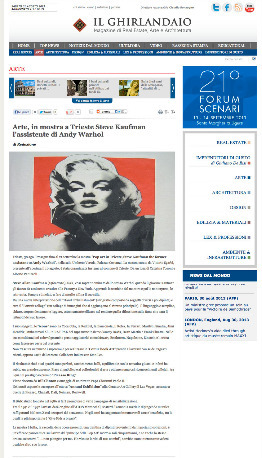 The exhibition “Pop Art In Trieste: Steve Kaufman, the Former Assistant to Andy Warhol” focuses on Kaufman's interesting reflection on fame: He used historical characters such us Beethoven, Mozart and Shakespeare and portrayed them as modern people. The show includes those paintings that best represent Kaufman's different styles. Subjects of the works are a wide range of icons that eternalize the symbols of our times and the most famous cinema and music stars: Coca-Cola, Red Bull, Marilyn Monroe, Frank Sinatra and Muhammad Ali. Kaufman, as always, portrays his icons in a perceptive and creative style. The paintings are intense and sparkling thanks to the themes and the colors chosen by Kaufman with passion and liveliness. Organizers Diana Vachier, Caterina Tosoni, and Alberto Panizzoli describe the exhibition as an original and innovative showing of Kaufman’s art. As Andy Warhol is often noted as the “King of Pop Art,” Steve Kaufman’s is recognized as the “The Prince of Pop Art” worldwide. In tune with the pop art concept, this exhibition addresses everyone’s interest, from the younger adults who will be fascinated by the clarity of Kaufman's works to the older adults who will seize the opportunity to reflect on today's society. This exhibition at the Palazzo Costanzi will run until the 21st of September, open everyday from 10:00 a.m. to 1:00 p.m., and from 5:00 p.m. to 8:00 p.m.
CLICK HERE for critique by VITTORIO SGARBI AT THE PREMIERE OF POP ART IN TRIESTE: STEVE KAUFMAN ON AUGUST 10, 2013.